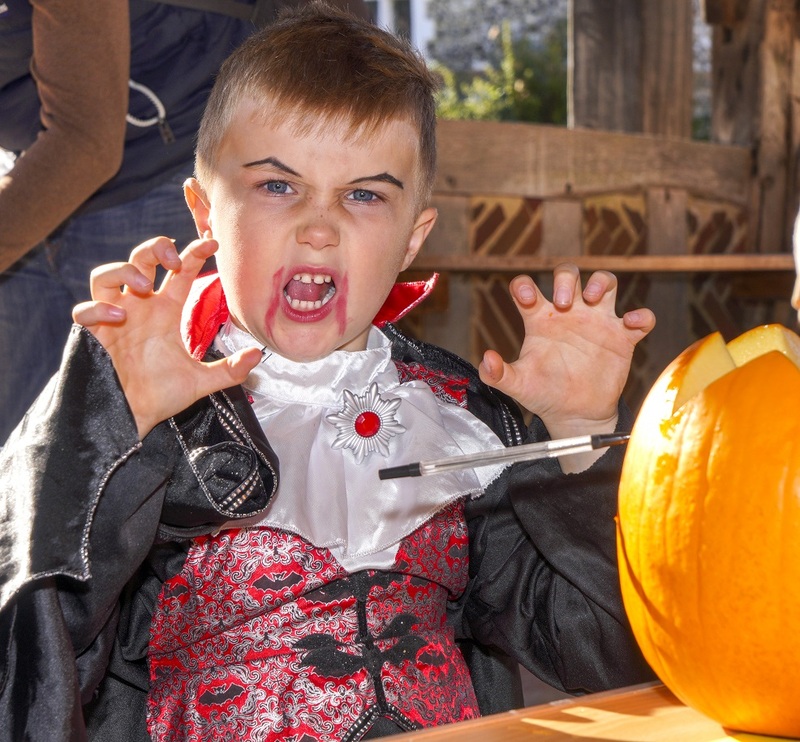 SPOOKY treats were in store for those visiting Singleton over the half-term week with Halloween-themed fun. Activities included the traditional fun of pumpkin carving, face painting and apple bobbing but there were also other crafty things to do. Children had the chance to create a ‘floating ghost’, make a monster ring, create a paper pumpkin, make a string mummy and make a clay leaf dish. Lisa Smith attended with her three children, Sammy, aged eight, Brian, six and three-year-old Natasha, from Chichester. There were also games and stories with playing a game of pumpkin noughts and crosses and a game of conkers and pumpkin hunts. Marketing manager Jen Rudd said: “Hundreds of families are enjoying the autumn sunshine at the Weald & Downland Living Museum this half-term. Graham Silcocks and his wife Maryann had taken their grandchildren, five-year-old Beth and eight-year-old Thomas, for the day. He said: “We only live in Southampton but we’ve never been to the museum before.